If you're one of the millions of people on birth control, you're going to want to check your package of it right now. 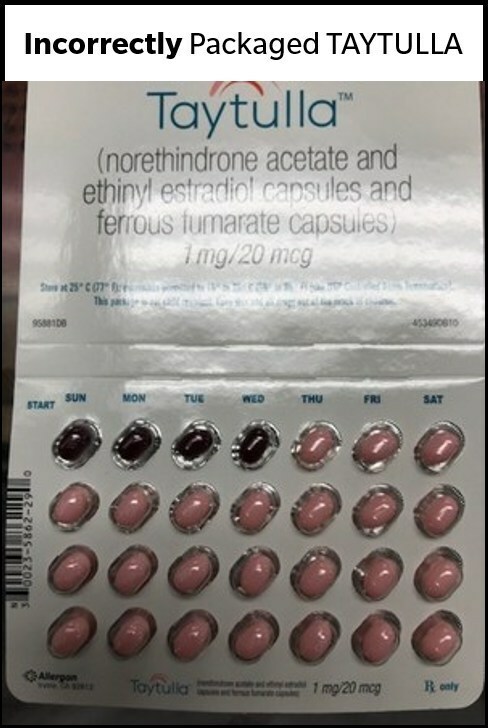 The pharmaceutical company Allergan has issued a nationwide recall of nearly 170,000 packs of the birth control pill Taytulla because of a serious packaging mistake. 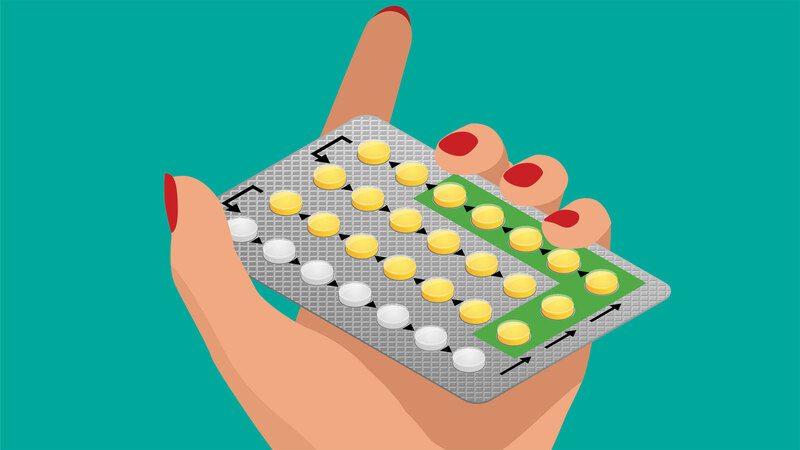 Specifically, the four maroon placebo pills are at the beginning of the pack instead of the end, and taking the pills in this order could result in unintended pregnancy. "The reversing of the order may not be apparent to either new users or previous users of the product, increasing the likelihood of taking the capsules out of order," a statement from Allergan read. 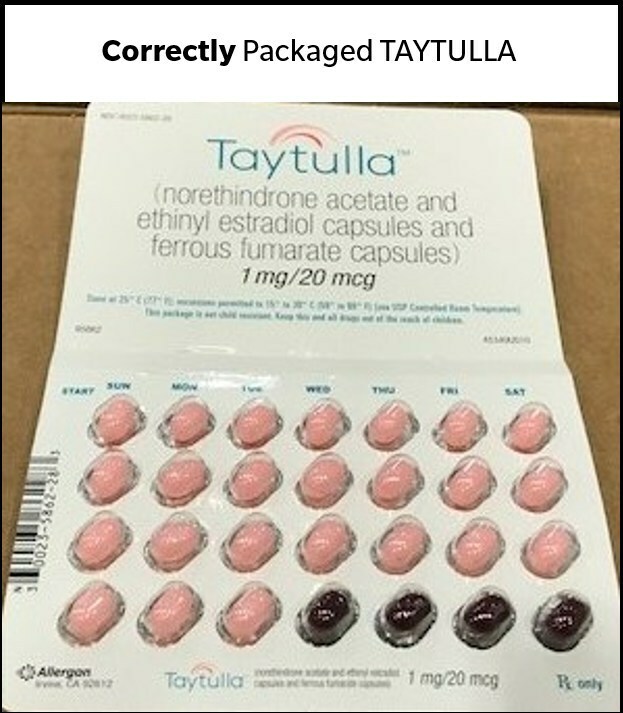 The recalled pills came as physicians' sample packs, so if you've received Taytulla in this form, be extra careful. The birth control pills affected by the recall are from lot No. 5620706 with an expiration date of May 2019 and a dosage of 1 milligrams/20 micrograms according to the statement. The pills have been in circulation since August 2017. Allergan is notifying customers about the recall by letter and is arranging for return of all recalled packs — but given the risk of unplanned pregnancy, time is of the essence, and it's probably best to check yourself instead of waiting for a letter. If you find that you do have the recalled product with the associated lot number, you should notify your physician as soon as possible.